It’s hard to believe a long-time dream will finally become a reality when Crash Bandicoot N. Sane Trilogy arrives on the Nintendo Switch at the end of this month. For many years now, owners of Nintendo systems have been deprived of this classic trilogy. Beyond the initial licensing concerns, it might have stayed this way as well, had it not been for one determined engineer at Vicarious Visions who happened to be a fan of the Nintendo Switch. 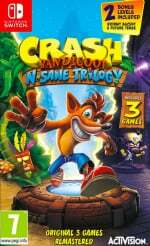 According to Nintendo World Report, sometime around the PlayStation 4 release of the N. Sane Trilogy, a lone engineer at Vicarious Visions spent his weekend trying to get the first level of the remaster up and running on Nintendo’s latest device. He managed to succeed, and it was at this point the company realised a port to the hybrid device was feasible. Other than minor graphical modifications, the Switch version of the game will match the performance aspects of its PS4 counterpart. That includes running at 30 frames per second. The new 'Future Tense' level, shown at this year's E3, will also be available alongside the Switch release. 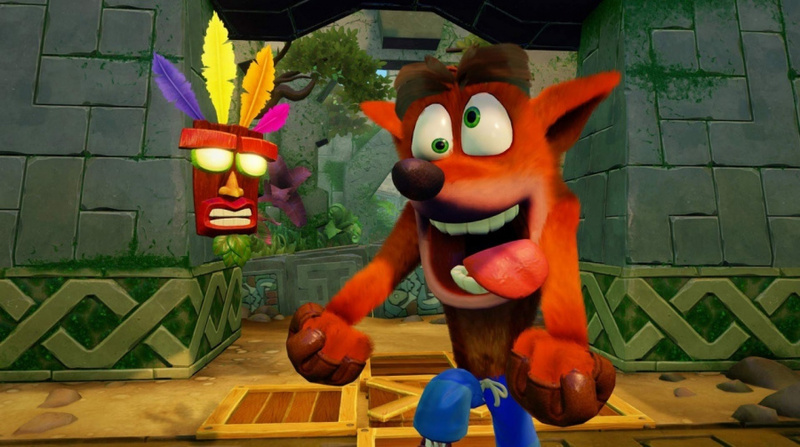 Are you ready to spin like crazy when Crash Bandicoot arrives at the end of this month? Let us know in the comments. Can he do the same for Spyro Reignited? @Menchi187 I asked many people at my school and barely anyone noticed. Just saying. @Matthew010 we should send him a list! Spyro is a good start! Yeah, Spyro needs to happen. This proves the almighty Switch is easy to develop for. Which explains why there are 700 games already. I'm glad that guy did this as I am really looking forward to playing these again. @Menchi187 What are talking about? There are no noticeable downgrades what so ever. The port is extremely well done, that the Switch version exactly like the PS4 (only with a few unnoticeable downgrades). And it has the same exact performance as the PS4 edition (30 fps - 30 fps). I don't know what you are talking about. You should see some gameplay footage. Looking forward to this. Would sell my PS4 version if I hadn't stupidly bought it digitally. Great game. We need Spyro Reignited Trilogy..
@Stocksy What else could he do? @Menchi187 Yeah keep bashing Nintendo for their graphics while japanese market sales numbers keep hiiting new low over and over. Japanese developers can't say it openly but they hate sony fans for their toxic behavior which is hurtful for the whole japanese industry. It's time to boycott japanese games on PS4 until Sony stop this toxic strategy. I know it's been said a lot already but... spyro next please! So he works there, had the files and tools wouldn't be that hard, for a second there someone got the full game early. @NintendoKnight it's definitely not unnoticeable. More like undistracring, but definitely noticable. Hey Nintendo!! Where's Spyro the purple dragon. ??? More AAA developers need that one software engineer to take the time to show that the Switch is a perfectly capable system - it just requires some optimizations and, yes, even compromises. News flash: Compromise isn’t a dirty word! Sitting at 700 titles right now, this just says that NintenDOES and the developers need to put more care into porting. Thanks, random, smart developer who actually realized that a port of a good game would make money on the fastest selling console in several countries! 1+ for this man looking into Spyro Reignited. NEED more true 3D platforming. LOT of Spyro requests in this tread. I'll definitely be buying Crash - which is a bit more of a 2.75D game with some purely 2D levels. Awesome news. Like many others have said, let me echo, can they do Spyro next? Wait you're telling me that Crash is coming to the Switch because Crash is on the Switch? NO WAY!!! PS4 Pro couldn't manage 60fps? Dooomed! Imagine how many other games could run on the Switch that we don't know about because no one bothered trying! You mean to tell me they werent going to do it and didnt even bother considering, discussing or ATTEMPTJNG it before making that decision? @NintendoKnight The fur shading is missing from Crash's body on the Switch. I honestly think he looks gross with the fur look. Was never a Crash fan, more of a Spyro guy, that was at least before Sonic DX inevitably dominated my childhood lol. Who is this guy? I want to shake his hand. that lone engineer who showed it could run deserves a medal! We'll I think the guy deserves a cut of the profits for the Switch version. It's strange though because now I'm constantly thinking "Crash is great...but what about Spyro". Since the Spyro Reignited announcement I've been more hyped for that, still plan on getting Crash though. @Menchi187 You must have super powers with your vision to say that the visual differences are very prominent. Am thinking about getting this. 3 games, good graphics, nice price, what's not to like? Until I read that it is hard. I don't mind Mario hard but I don't do 'my controller 🎮 has gone through the window hard. I don't want to try a jump 49 times, only to land safely on jump 50 and then get hit by a rock or something and have to start the whole thing again. Hard. @zool It's not that hard, I 100%'d (or in the case of 3, 105%'d) the three games as child. There are some difficulty spikes in each game and this games version of The High Road can be tricky, but the majority of the game is perfectly managable. If you can handle late game Mario you can handle this. I know this probably isn’t the right thread, but how would you rate the difficulty of this game, is it fairly easy? That Switch logo at the end of the trailer is SUPER smal lol. You wouldn’t notice it if you weren’t actually looking for it. But I really hope this one does! Thank goodness for overachievers. I can think of so many things I’d rather be doing during my time off than coding. Thank goodness there are people at Vicarious Visions who love their Nintendo systems. @NTELLIGENTMAN Quite an intelligent observation, but it's coming to Switch because a developer spent their weekend trying to get it on Switch, then Vicarious Visions and Activision approved the Switch Prototype. There was no guarantee the port to Switch was going to happen when the lone developer decided to work on it. Good job buddy!! Always a great thing to experiment! As long as a full team did the actual port. I feel that the ease of porting to Switch has created a culture of laziness, hence the performance issues in so many titles. Hopefully, the employee got some kind of reward for his efforts at persuasion. @SethNintendo Yeah some people don't, and in the first two games you can ignore them completely and still get the 100% ending. I was just pointing out anyone wanting to unlock the 100% ending in the 3rd one needs to at least get a sapphire rating in the time trials. First Sonic, now Crash, and then we just need Master Chief to pop by. I think companies need to realize that getting their games on the Switch is a twofold move. Because not only it means getting their game on another home console, it also attracts buyers who would love to play their games on the go. Not so long ago, developping for a portable (or mobile) platform required a completely re-thought and redevelopped game, requiring a complete additionnal development team for that different game. Now, if a game is developped with an engine working on all consoles, you can easily get a portable version of your game on the Switch, at a fraction of what it would've cost in the past to get a portable version. And 2K... please port over a Borderlands compilation... I would play the hell out of that... during the train ride to/from work everyday! Vicarious Visions have made much of their name and their money on Nintendo platforms, so it's nice to hear they have dedicated fans employed. @BigKing Really? Well u need your eyes checked if u think that. PS1 looked really awefull, a jumble of pixels, all of them did back then.